Throughout March, Curves Guernsey will be supporting local charities by collecting food for the annual Curves Local Charity Drive! All food/toiletries collected will be donated to GSPCA, The Womens Refuge & the Guernsey Welfare Service. 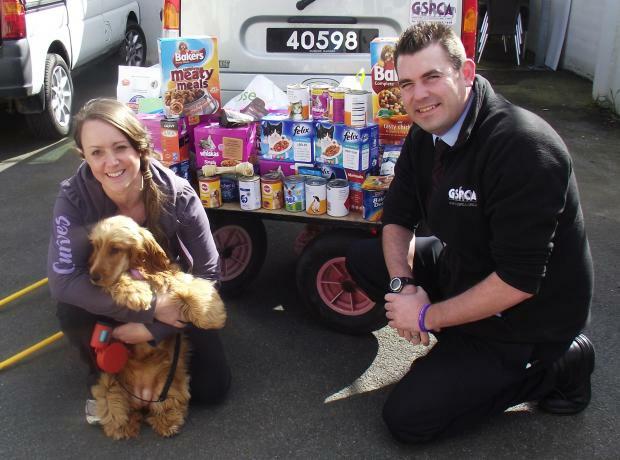 During March Curves Guernsey at Admiral Park collected food to help the Women’s Refuge and the GSPCA. Emma Trousdale Welfare and Education Officer popped down to collect the food from Becky Chandler and the team last week and couldn't believe it.